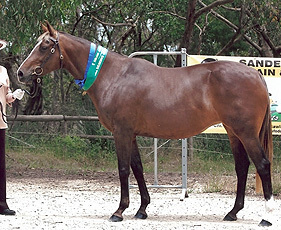 Nuniong Beebie is a well built attractive taffy mare whose breeding contains many well recognised ASH Foundation horses (Elliots Creek Cadet, Cecil Bruce, Rivoli Ray, Huntly Sunstream, Black Radiant, Comara Princess, Little Abbey etc) and heritage bloodlines (Chan, Radium, Midstream, Bruce, Rivoli etc). 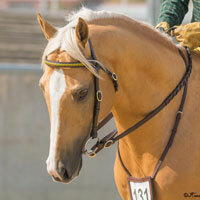 She has many relatives on her sire and dam's side that have competed with success in ASH events, led and under saddle, including at Royal and National level, such as Geejay Basil. 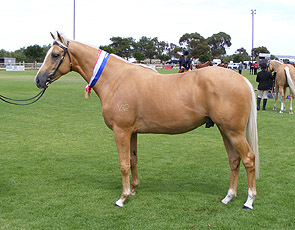 Kim and Jeanette first saw Beebie at the 2002 ASH National Championships Show at Albury (when Kim competed with Chalani Laura). Beebie was offered for auction in the annual ASH National Yearling Sale, after placing 3rd in the National Led Yearling Filly Futurity. Chalani had not intended to buy at the sale, but decided Beebie was worth bidding on. They became underbidders to the purchasers Olivaylle Pty Ltd (Ausome prefix). 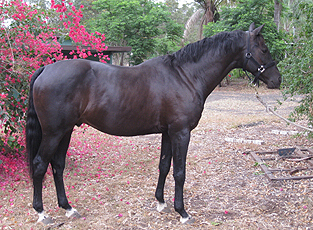 Olivaylle is located at Telopea Downs near Kaniva Vic, so the new owners asked if Chalani were able to transport Beebie to Kaniva on their way home to SA. Beebie demonstrated as a Yearling that she was nice and easy to handle, floated well on the long journey (including an overnight stop) and that she was kind natured. 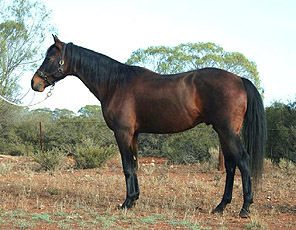 Olivaylle used Beebie as a broodmare after lightly starting her under saddle, where she produced 6 foals. 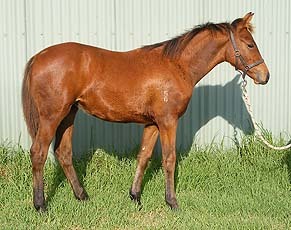 5 are by the stallion Yallutup Regal Remedy, which Olivaylle purchased from Glen Gough in QLD. Beebie came up for sale when Olivaylle decided to have a major stud reduction. They are also breeders of Paso Fino,	Paso Peruano &	Paso Creole	horses, the owners originally from Cuba, where these breeds are popular. When Beebie was picked up from Olivaylle in October 2010, she walked straight on the float. She had not been floated for 8 years and did not move the remaining four hours home! Beebie's colouring comes through her sire's dam Glenalvon Elsa. 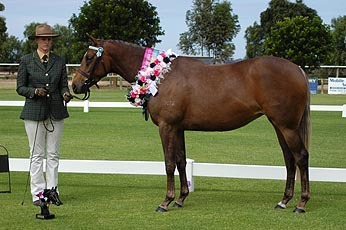 See the ASHS Studbook for Beebie's full pedigree. 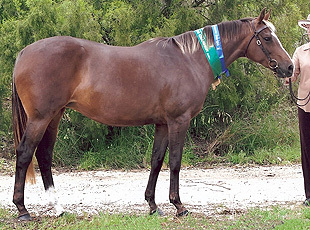 Beebie was shown in her led classes at the SA Dilutes Championship in 2010 for Reserve Champion Silver (Taffy) under QLD judge Leanne Owens.